Google’s Chromecast and the 4K-ready Chromecast Ultra have become staples in living rooms across the country, thanks in no small part to their ever-expanding app support. Capable of streaming Netflix, YouTube, Hulu, Spotify, and hundreds of other popular services, Chromecast streaming devices may be worthy of investment for those looking to smarten up their TV on the cheap. It’s not just about video and music streaming, though. Chromecast offers a bevy of other useful features that can easily get overlooked. From mirroring your full desktop on your TV to turning your big screen into a personal photo album, there are plenty of tips and tricks you can use to get a richer Chromecast experience. To help you master your Chromecast, we’ve put together a breakdown of our favorite lesser-known features that allow you to get the most from your streaming adventures, whether you’re new to the device or a Chromecast vet. 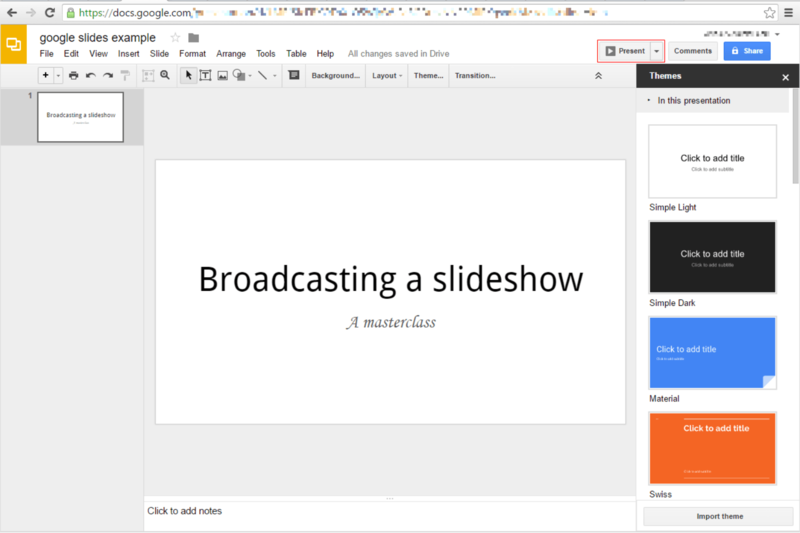 First things first: You’ll want to download the Google Cast extension for your Google Chrome Browser via the Chrome Web Store. This extension allows you to send content to your Chromecast from your browser, and it’s crucial when executing many of the tips and tricks listed below. If you’ve already set up your Chromecast, skip to the next trick, but we wanted to help you get things rolling in case you’re new to the product and just pulling it out of the box. Here’s the essential equipment: A TV with an HDMI input (4K or otherwise), Wi-Fi accessibility, a free USB port or power outlet, and a computer, smartphone, or tablet with either Google’s Chrome browser (for a computer) or the Google Home app installed. Simply plug the Chromecast into your TV’s HDMI port, plug it in, then visit the Chromecast setup page to download the necessary app, and the Chromecast will walk you through the rest. We also have a complete guide to Chromecast setup if you need a bit more assistance. Note: If after connecting your Chromecast to your Wi-Fi network, you still can’t “see” the Chromecast from your Chrome browser casting extension or compatible apps (such as Netflix), you may need to make some adjustments to your Wi-Fi router. Visit the aforementioned Chromecast page for troubleshooting help. 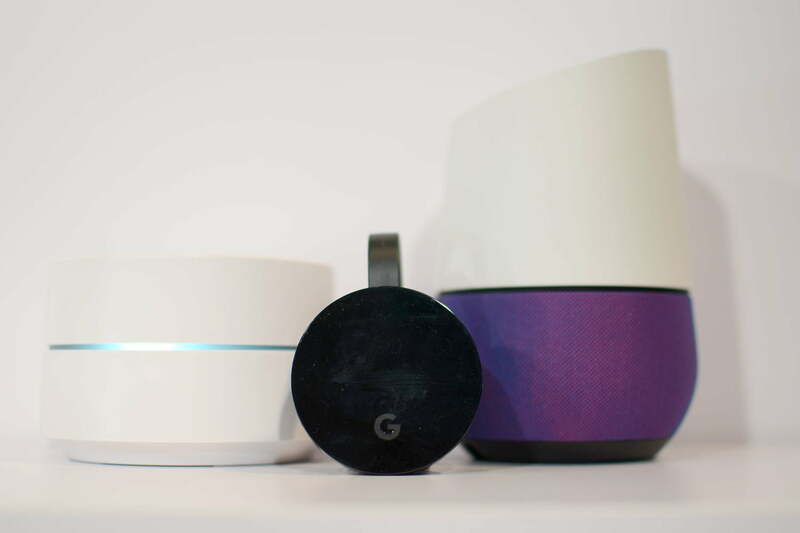 If you’ve already got a voice-operated Google Home device and are looking to use your voice to search YouTube or to see the weather on your Chromecast-connected TV, you’ll be happy to learn that you can quickly connect your Chromecast to your Google Home ecosystem. Make sure the two devices are on the same network, then open the Google Home app and find the “More settings” tab. From there, click the “TVs and Speakers” tab, where you’ll see a list of connected devices. To link the Chromecast to Google Home, just tap the plus symbol in the bottom of the screen. Once added, you’re off to the races. While the 4K-ready Chromecast Ultra already rocks an Ethernet port to deliver ultra-high-definition content, the standard Chromecast does not. That doesn’t mean you can’t retrofit yours with one, however. You can purchase an Ethernet adapter directly from Google that plugs into your wall outlet and into the microUSB port of the Chromecast. This is helpful for installing a Chromecast in a location with a weak Wi-Fi signal, or if you simply prefer the reliability of a hardwired connection. Bluetooth is great for streaming audio to newer audio systems and wireless speakers, but what about all those notifications? You can bypass those, and still use your phone while you jam out thanks to a slew of iOS and Android music apps with Chromecast support, including Pandora, Google Play Music, and Spotify. If you’ve got a modern A/V receiver, soundbar, or powered speakers with an optical input, using the Chromecast to stream is as simple connecting an optical cable from your TV’s audio output to your audio device’s optical input. (Note: In some cases, you may need to set your TV audio to “external speakers,” and choose the optical output. This menu is typically found in the settings menu under sound.) Have an older amplifier with only analog inputs? Just get an optical to RCA adapter online and plug it into the RCA input of your sound system, or better yet, simply get a Chromecast Audio, which costs only $35 and is a great way to stream to analog gear. But you want better sound, you say? While most modern TVs will do just fine pumping out your stereo signal, you may get better performance by simply connecting your Chromecast directly to an HDMI input on your A/V receiver or soundbar and using your phone as both the controller and the viewing window to see what’s playing. Or, as is increasingly likely, your receiver or soundbar may have an ARC HDMI connection, in which case any sound from your Chromecast should be routed back to the audio device from the TV via a single connection. Fans of vertical integration will appreciate that Google has brought Android and Chromecast together, allowing users with most Android devices to “mirror” content from those devices to a big screen via Chromecast. The service is available on most Android devices with Android OS 4.4.2 or higher. To start mirroring, simply connect your Android device to the same Wi-Fi network as your Chromecast, open the Google Home app and tap the navigation drawer in the top left. Tap the “Cast Screen” button, select your Chromecast, and you’re set. 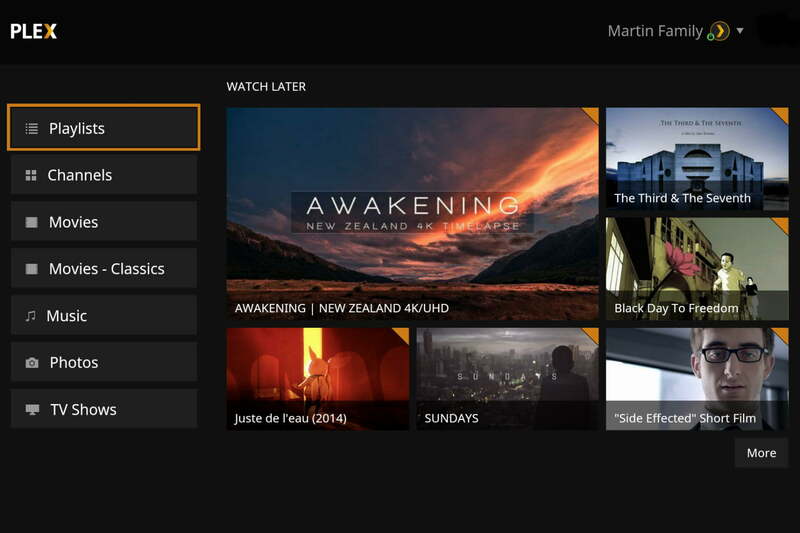 Whatever’s on your phone is now available for viewing in the bright lights of your TV. To end casting, open the navigation drawer again, tap the Cast Screen button, then select Disconnect. This tip is a bit more expensive and complicated than others on our list, as you’ll need a 3D TV, an Android phone, and Google’s freemium cardboard app to pull it off. If you find yourself in this category, keep reading. To use the feature, you’ll first want to activate SBS mode on your 3D TV, typically via your television’s settings menu. Then, you’ll need to download the cardboard app on your smartphone and launch it. 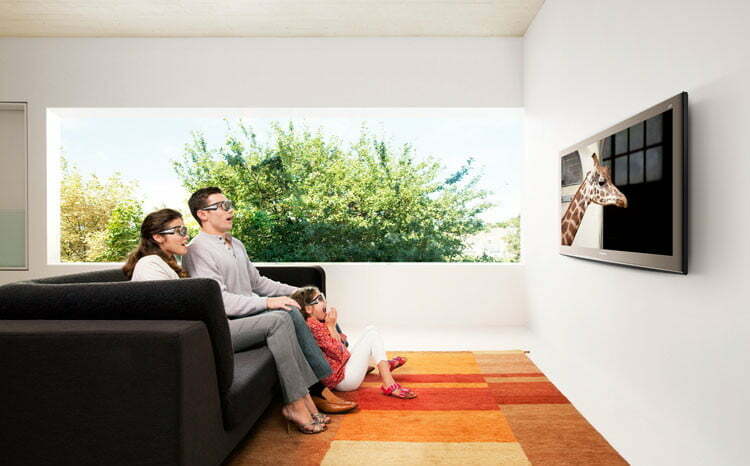 After that, simply mirror the content of your smartphone to your television as directed above, and put on your 3D glasses packaged with your TV, allowing you to enjoy a 3D experience akin to virtual reality straight from your TV. Google often goes out of its way to thank its Chromecast users with an abundance of monthly freebies. The tech giant offers deals for apps like Hulu and Google Play among others, many of which include access to free movies, extended streaming trials, and months of unlimited music. Simply visit Google’s Chromecast offer page and scroll to the bottom to see a list of available offers, or if you prefer, access them through the options menu in iOS or Android. Although Chromecast doesn’t work like an Apple TV or Roku, you can nonetheless stream videos stored on your computer or network if Chrome supports the file type on your PC or Mac. With a Chrome browser open, hit CTRL+O for PC or Command+O for Mac and locate the video you wish to play. This gives you the option to choose local videos from an installed hard drive, an external hard drive plugged into your computer, and some network locations. Check out the natively supported file formats here or move onto our next tip for playing additional file types. Because Chrome can’t play every video file format, you’ll need a little a little help from a third-party app. That’s where the Plex application comes in. It indexes video, audio, and photos on your computer or media server and takes care of all the background work, allowing anything you own to be streamed to your Chromecast. Once you’ve downloaded the app, point it toward where you store your media. It will then organize all your content for easy access. Using your smartphone, tablet, PC, or Mac, just select what you want to be streamed to your Chromecast and it will cast onto your TV. However, you will have to pay $5 to use the app to its full potential. If you’ve ever been watching TV or internet videos on your television late at night, and had to keep the volume down to not disturb others you live with, this feature will be a godsend. The app Localcast lets you listen to videos you’re casting to your TV through headphones connected to your smartphone, tablet, or whatever device you may be casting from (provided its an Android device). To do this, just install and open the Localcast app, plug in a pair of headphones, and tap the “Route audio to phone” option on the Now Playing screen. Viola — private listening setup achieved. Though you’re able to send almost anything to your TV via tab casting, there are Chromecast-specific apps that offer improved streaming and dedicated support. The list of compatible apps for the Chromecast continues to grow and Google provides a list of these on its website. Those with slower internet packages who often stream videos via YouTube or Netflix have probably been stricken at some point with buffering issues and loading screens. Buffering and lag are usually a bigger problem if you have a poor Wi-Fi connection or if the server from which you’re streaming has a high amount of traffic. It’s possible to improve playback speeds, but it comes at the expense of lower quality video. If you’ve got all sorts of buffering issues, just navigate to the Google Cast extension options and set the “Tab projection quality” to “Standard (48op)” to switch to lower resolution playback. The Google Home app lets you have some fun when naming your device by allowing the use of Emoji characters. Emoji character choices populate in the flower tab while entering a device name and this option is available for use with Android, Windows, iOS, and Mac OS X apps. 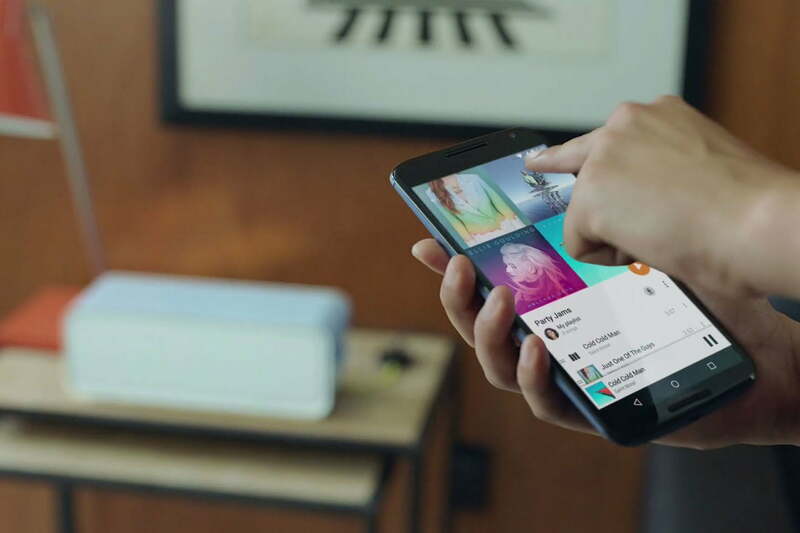 Playlists are among Chromecast’s notable features and give you the ability to set the order of YouTube videos. Other people on different mobile devices or computers can also contribute to the YouTube queue, provided they’re on the same Wi-Fi network. To use the feature, simply search for the YouTube video you wish to watch and open it. You can then browse for new videos, and once selected, the app will ask if you want to play now, or add it to the playlist. Just like that, you’ve created a YouTube party. This particular tip is useful when sending video from the Chrome browser on your PC or Mac, as opposed to casting video from your phone or tablet. 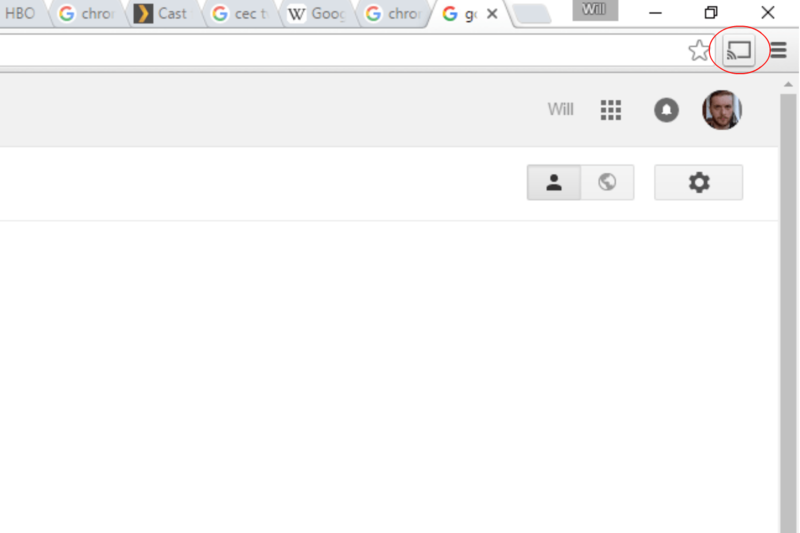 If you need to do something else on your computer but want to keep the video you are streaming from the Chrome browser in full screen, simply press Alt+Tab to switch tasks. The video that was originally playing in full screen when you switched tasks will continue to do so on the TV. One of the Chromecast’s more unique features allows it to turn on modern TVs and switch to the proper HDMI input as soon as you start streaming videos or music from your smartphone or tablet. The Chromecast uses HDMI-CEC technology that most newer televisions support and allows HDMI devices to power on those TVs. Television manufacturers don’t always have this function turned on out of the box, so you may have to do some searching around your TV’s settings to toggle it on. What’s more, not every television brand calls the CEC function the same thing. For the more popular television manufacturers, the names are as follows: Samsung (Anynet+), Sony (Bravia Link or Bravia Sync), Panasonic (Viera Link), LG (Simplink), Toshiba (Regza Link). To use this feature, first plug the Chromecast in using the provided AC adapter as opposed to using a USB port. This assures the Chromecast is receiving power even with the television turned off. With the proper CEC function turned on, start casting music or video from your smartphone to your Chromecast by clicking the “Cast” icon in the upper corner, and your TV will turn on and display the correct HDMI input for your content automatically. Note: Plugging into your TV’s ARC HDMI port may allow for better CEC handshake transferrence, so if this feature isn’t working for you, you may want to try this solution. While the Chromecast’s default stock photos are gorgeous, you can also customize your wallpaper by adding your own photos, as well as artwork from the Google Cultural Institute, images from news outlets, and even weather data and satellite imagery. The feature requires the latest software version for your Chromecast and for the Google Home app on your Android or iOS device, though both should update automatically on most devices. To add personal photos, however, you’ll need to grab them from Google Photos. Either go to Google Photos on the web or install the Google Photos app on a device and load your images. Once you’re done, make sure your device and your Chromecast are on the same Wi-Fi network. Then, tap the “Cast” button while in Google Photos. This will broadcast your photos to your TV. To send your entire desktop to your television, simply click the drop-down menu to the right of the “Cast this tab to …” option and select “Cast entire screen (experimental).” This option requires a high level of processing power from your computer and may slow down video playback, lower video quality, and function slower if your PC or Mac isn’t very powerful (it will also put a dent in your laptop’s battery if you’re not plugged in). Using a hotel’s provided television service can leave a bad taste in your mouth, but Chromecast with a portable Wi-Fi access point lets you ditch hotel TV for good. We recommend a portable Wi-Fi hotspot because a hotel’s Wi-Fi network tends to run incredibly slow for streaming video and hotels often charge for usage per device. To use your Chromecast on a hotel room TV, first plug the device into one of the TV’s available HDMI inputs. This may be challenging (or impossible) with TVs either bolted to a dresser or into a wall. But once you have Chromecast plugged in, turn on your portable router and connect the Chromecast and your mobile device, PC, or Mac to the wireless network. Once the Chromecast and casting device syncs, you are now able to stream any content to the hotel television exactly as you would with your home TV. Note: Using your phone as a mobile hotspot works but keep in mind your data limits — Chromecast can eat up data quickly. Also, some hotels put their TV’s inputs on a sort of lock-down, restricting the use of third-party devices. Are you one of those people with a Wi-Fi password that’s 10 miles long, and you refuse to change it (or don’t know how)? If so, this little trick will allow your guests to send anything they want from their own device without the need to jump onto your network. To use the Guest Mode feature, open the Google Home app on your Android device, tap on the device you want guests to use, tap on the triple dots at the right-hand corner and select “Guest Mode,” and then slide the feature on. Your Chromecast will then send a “special Wi-Fi beacon” that allows any user to stream safely, thanks to special authentication from your Chromecast via inaudible audio tones. In the event your Chromecast develops an issue you can’t seem to get around or stops functioning entirely, there are a couple of ways for you to revert the device back to its factory settings. The first method involves opening the Google Home app on your device. Next, select the Chromecast device you want to reset, then open the settings by tapping the button in the upper-right corner. Next, tap the “More” button in the upper right, and then select “Factory reset Chromecast” (on iOS, this is simply labeled “Reset”). You can also restore the factory settings manually on the device by holding down the Chromecast’s physical button. The LED light will turn orange, and eventually white. At this point, release the button and the Chromecast will begin to reboot. If you want added control over the streaming quality of your content, then you’ll want to access Chromecast’s hidden extension options. Click on the Google Cast extension button on the right side of your address bar and select “Options.” Right-click anywhere in the Options page and click “Inspect Element” to bring up the page’s HTML code. Expand the “quality == ‘custom’” code line and look for two lines of text that read “display: none.” Delete both lines of text and then the Google Cast extension options will appear. Note: Keep the Options window open while changing the hidden settings; otherwise, you’ll have to search for and delete the lines of HTML again to produce the hidden menu. Though the Chromecast claims to only support apps on iOS or Android devices, you do have the ability to cast using a Kindle Fire. Streaming apps like Hulu, Netflix, or Pandora work great when using a Kindle Fire. Yet another function that isn’t officially supported by Google is the ability to play motion-controlled games using your smartphone and Chromecast. The games themselves aren’t groundbreaking, but they do support multiplayer functionality so you can enjoy some retro-style gaming with your friends. 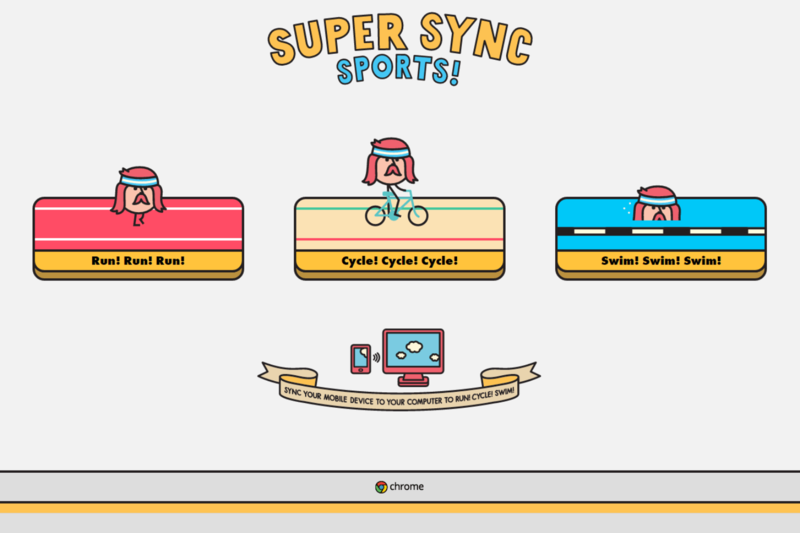 Google offers one such game called Super Sync Sports, and using the motion functionality for it is easy to do. First, cast the page from your computer to your TV via the Chromecast and follow the game’s on-screen instructions. Before you know it, you’ll be waving, flicking, and swinging your smartphone around in hopes of beating your friends in a virtual race. We recommend keeping a firm grip on your phone, or else you could find yourself the star of a motion controller accident montage.